K Smith Brickwork - Builder based in Redditch, Worcestershire. Hello, I’m Kieran and I’m the owner of K. Smith Brickwork, a business I launched in 2016 to provide a professional bricklaying and blockwork service to the people of Worcestershire, Warwickshire, and the West Midlands. I’m proud to provide a very high standard of workmanship along with a reliable, trustworthy and professional service. My enthusiasm for bricklaying started at age 15 or 16, my school had placed me on work experience with a building contractor and at first, I wasn’t especially enthusiastic about the various jobs that I saw or got involved in. But that all changed with the building of a brick chimney with an oak beam! I was fascinated by the idea that something so permanent, something that will outlast us all, could be created from nothing and then remain in full view for many, many years to come. From then onwards I knew I was going to be a bricklayer, I gained experience on sites during the holidays. With a few years of experience behind me, I was still so enthusiastic about bricklaying that I decided to expand my skills even further which meant that I could also work on more specialist projects with decorative brickwork such as arches and curved walls. 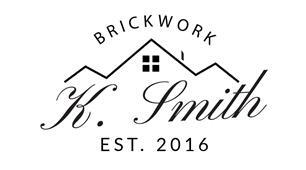 With 11 years of experience, and still as enthusiastic about bricklaying and blockwork, I decided that 2016 would be the year that I launched K. Smith Brickwork. So if you are looking for a reliable, experienced, and knowledgeable bricklayer I’d be happy to provide you with a free of charge written quotation.